I was invited up to Lime Rock ahead of their Historic Festival to have a look at some special Mercedes race cars. 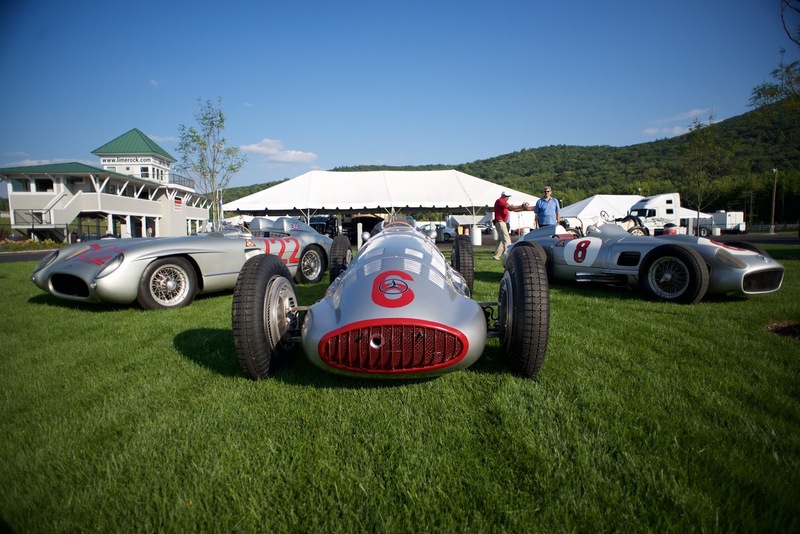 Some of the Silver Arrows come from the Mercedes Classic collection and some from The Revs Institute, the Miles Collier collection in Naples, Florida. This one is one of the Revs cars, a 1939 W154/39 raced by Von Brauchitsch and was rescued after World War 2 in Romania. You should look it up, it's a fascinating story. I wish I could convey smell over the internet : Castor Oil, Alcohols, NitroBenzene and Acetone. A wiff and you'll never forget despite all the destroyed brain cells! 3 Liter V12, 48 valves, twin superchargers, 88 Gallon fuel tank, 480 HP, 200 mph+... a beast. 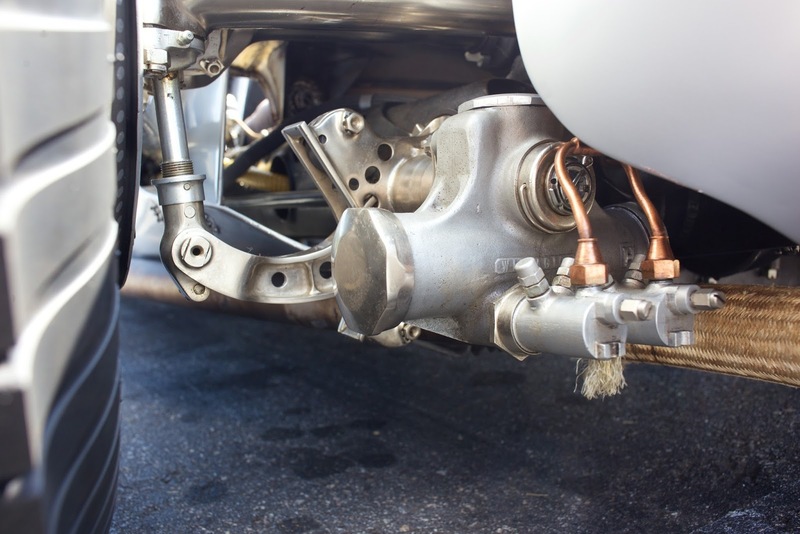 Like all race cars of the era, you don't just get in and turn the key, the engine block has to be warmed with a special heater, engine has to be fired first with a set of soft plugs when are then changed for the running ones before the actual run. After the week end the car has to be completely drained and the engine flushed to get rid of the corrosive fuel which would damage the precious magnesium parts. It's a joy to see cars like this one up close, the quality of the workmanship, the surprise of details like the hydraulically adjustable rear suspension (to compensate for fuel load). 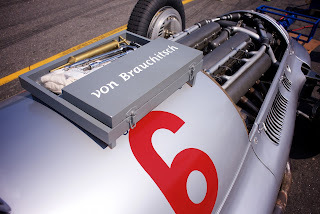 Jochen Mass will be behind the wheel of the W154 this week end at Lime Rock while Sir Stirling Moss will be back behind the wheel of the famous 722 Mille Miglia car.